not necessarily to learn from.. just various runners & race results etc. I have "Self Made Olympian", a book he wrote, on how he made the US Olympic Team in 68 or 72 I forget, Mexico Olympics. There's also a "Ron Daws 25k" ! I noticed his half marathon PB is a Miami half marathon.. that is probably SO rare, for a race in SFL to be your PB in the IAAF results! fast dude! think he owns the CR for the miami half. It's not nearly as fast anymore, I guess it used to have prize money. Some locals hit 1:10 & 1:11's etc. Most winners hit 1:15-1:18 lately. crazy numbers for half & full marathon. USATF outdoor records by age group! 59:29 half. so crazy fast. Pre-2014, people from Denmark winning it. Post-2014, all kenyans winning it. I think he got 2nd in the World Half Marathon Championships this year. 2:05 at Boston.. damn, one of the best times there. his wiki is sick ^^ he's also 6'3. a "true marathoner", primarily has only raced marathons. 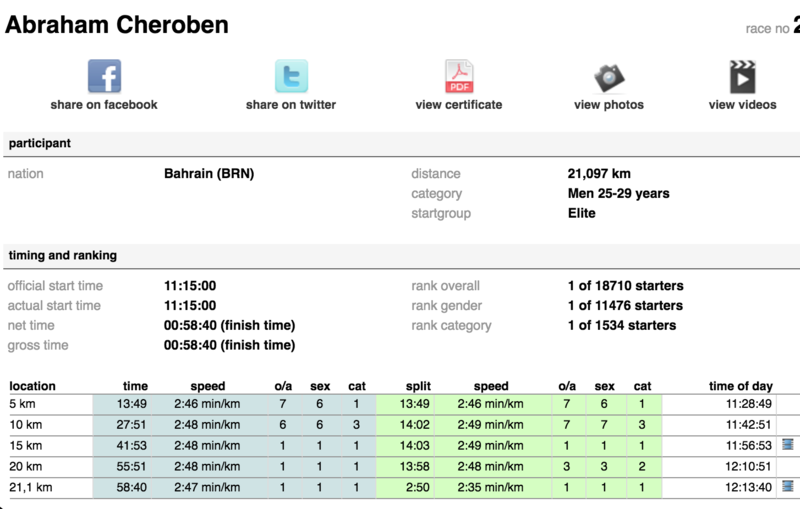 incredible how his PB's at 10k/half etc, are so slow compared to his best marathons. guy just pushes it hard af. 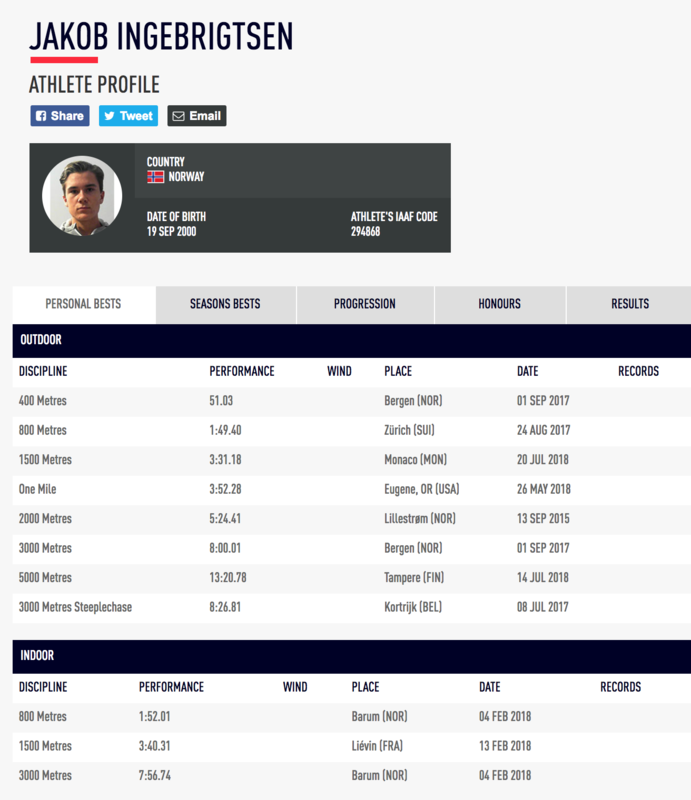 Jakob IAAF .. so nuts considering how old he is. 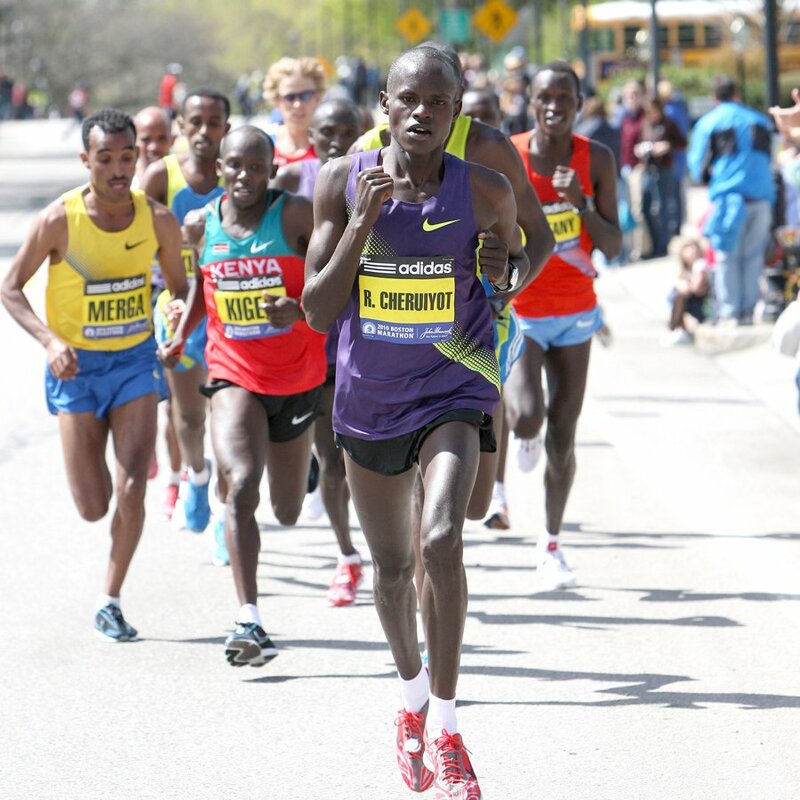 Okari, who is just over six feet tall, prefers road races to the track. "With my long legs, I don’t like to go around the track for so many laps," he says. "I like to go in one direction. It is easier on the body and on the mind. When the gun goes off, I am already at the finish." Yet even if he never runs another race, Okari has already achieved one great victory. About his mother’s advice to get on with his life, he says, "She now knows that she was wrong." guy who has the CR @ Beach to Beacon, 27:27, that's who Jake was chasing today.